Looking for and still finding some plusses on D-FW's late night newscasts after CBS11's "reporting" on the Rev. Jeremiah Wright dug such a big ditch. Did CBS11 mistakenly brand the Rev. Jeremiah Wright with calling TCU a "Godless Christian College" instead of what he really said -- "Jarvis Christian College?" You're damned right they did, and that's a very serious reporting error that was magnified during the station's Monday, 10 p.m. newscast. Meanwhile, NBC5 continues to surprise in the early morning ratings while CBS11's 10 p.m. newscast signs in with its first May "sweeps" win. This is a tough list to shrink-wrap. So tough that D-FW television alumni such as Ashleigh Banfield, Craig James, Rene Syler, Bob Brown, Curt Menefee, Bill Macatee and Russ Mitchell didn't quite make the Top 10 cut despite gainful careers at the network level. Here's the bottom-to-top list of those who've made the biggest names for themselves at the national level after prepping in North Texas. 10. Paula Zahn (1978-79 at WFAA) -- Left Dallas more than a generation ago and sequentially has taken prominent jobs with ABC, CBS, Fox News Channel and CNN, where she hit the ground running on 9/11. But Zahn called it quits at CNN on Aug. 2 after the network hired Campbell Brown from NBC to take her early prime-time slot. At age 51, her high-profile, high-paying days may be over. 9. 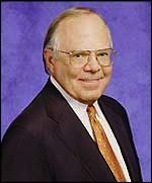 Verne Lundquist (1967-83 at WFAA) -- Became a household name in D-FW as Belo8's featured sports anchor, radio voice of the Dallas Cowboys and host of the legendary Bowling For Dollars. He's since been an all-purpose CBS Sports mainstay, equally adept at doing football, basketball and golf, where he manned a hole during Tiger Woods' fourth PGA championship. 8. Leeza Gibbons (1980-83 at WFAA) -- Co-hosted Belo8's version of the syndicated PM Magazine before vaulting to Entertainment Tonight as an anchor/correspondent. She's also hosted her own syndicated talk show, acted in a handful of feature films and was a contestant on the most recent edition of ABC's Dancing with the Stars. 7. Scott Pelley (1982-89 at WFAA) -- Seemingly born to be on camera, the telegenic former Belo8 street reporter quickly rose to prominence at CBS News and previously was a candidate to replace Dan Rather. He's now a 60 Minutes correspondent who may yet have his day in the CBS Evening News anchor chair if Katie Couric's ratings continue to flat-line. 6. Charlie Rose (1979-81 at KXAS) -- Hosted his own local talk show in the Phil Donahue mode at KXAS before taking a series of jobs at the national level. He's been a player at PBS since 1991, interviewing a succession of big-name movers, shakers and personalities. Questions sometimes tend to be verbose. But unlike Larry King, he's a stickler for preparation and research. 5. Karen Hughes (1977-84 at KXAS) -- Was Karen Parfitt during her reporting days at KXAS. Left the station to become a major player in Texas Republican politics in the mid-1980s before allying with George W. Bush during his successful run for the governorship. 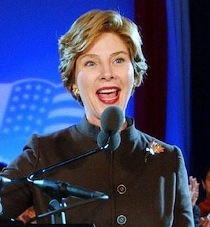 She followed Bush to the White House as a key advisor second in power only to Karl Rove. In 2004, Hughes' memoir, Ten Minutes From Normal, recounted her years as a high-level political operative. 4. Bill O'Reilly (1977 at WFAA) -- Had a brief stay at Belo8, where he admittedly clashed with both news executives and prominent anchor Tracy Rowlett. 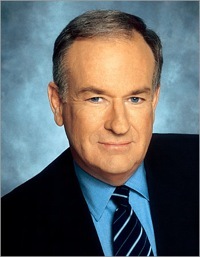 A long, winding career ensued before O'Reilly found his niche on the ground floor of Fox News Channel. The O'Reilly Factor long has been the network's most-watched program, with its host also authoring several bestselling books. Frequently lashes back at critics, most notably Al Franken and Keith Olbermann. 3. 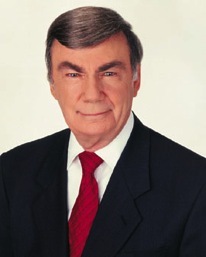 Sam Donaldson (1959 at KDFW, then KRLD) -- El Paso native worked briefly as mostly an off-camera announcer before moving onward and upward to become an ABC fixture and the most famous White House correspondent in the land during Ronald Reagan's presidency. Donaldson also had a long tenure on ABC's This Week Sunday morning program, where he still appears monthly. In 1987 he wrote the bestseller Hold On, Mr. President. And from 1999 to 2001, he hosted network TV's first regularly scheduled Web program during the relative infancy of the Internet. 2. Jim Lehrer (1970-73 at KERA) -- Helmed breakthrough Newsroom program at KERA after prepping in print with both The Dallas Morning News and The Dallas Times-Herald, where he became city editor. He moved to Washington, D.C. in 1973, teaming with Robert MacNeil to cover the Watergate hearings for public television. In 1975, the two started PBS' famed The MacNeil/Lehrer NewsHour, with Lehrer flying solo after MacNeil left the program in 1995. 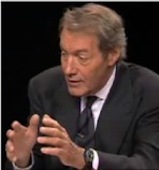 Also has written a number of well-received books and moderated nine presidential debates. 1. 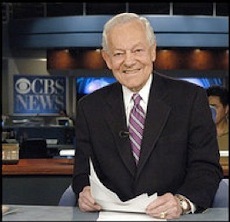 Bob Schieffer (1967-69 at KXAS, then WBAP) -- Durable, affable and still a key CBS News contributor, Schieffer's long, high-profile career at the network peaked when he replaced Dan Rather in March 2005 as interim anchor of the CBS Evening News. He held that post until Aug. 31, 2006, leading the Evening News on a ratings comeback that eventually petered out when Katie Couric stepped in. Schieffer continues to anchor Sunday morning's Face the Nation from Washington, D.C. An Austin native, he broke into journalism as a reporter for the The Fort Worth Star-Telegram, where he covered the Kennedy assassination and famously gave Lee Harvey Oswald's mother a ride to the Dallas police department. Has a journalism department named after him at Texas Christian University and in recent years wrote an autobiography titled This Just In: What I Couldn't Tell You On TV. WFAA8's Dale Hansen hauled out his heavy artillery while CBS11 peeped into the lives of cheating husbands on Thursday's launch of late night May "sweeps" warfare. Also, a brief, no-win discourse on anchor cleavage. Meanwhile, the first ratings returns from the early morning are eggs-citing for a station that lately hasn't been used to being on top. NBC5's Newy Scruggs says he's making the most of less time for his nightly sports segments. He also talks to unclebarky.com about surviving racist death threats, and his gratitude to station management for standing sturdily by his side. Former Fox4 reporter Rebecca Aguilar's "Charge of Discrimination" against the station in effect boils down to a battle between her and the station's veteran news director, Maria Barrs. That's made pretty clear in the specifics of her two-page complaint to the Equal Employment Opportunity Commission. Former Fox4 reporter Rebecca Aguilar, terminated in March by the Dallas-based station after a lengthy suspension, filed a formal complaint against Fox4 Wednesday with the federal Equal Employment Opportunity Commission. In a statement, her Dallas lawyer, Steve Kardell said, "I'm confident the EEOC will uncover what our investigation has unveiled. Fox4 wanted my client to advocate change in the community through her reports, but to keep silent in improving working conditions in the newsroom." Fox4 news director Maria Barrs said by telephone Wednesday, "We don't comment on personnel matters, and this is a personnel matter." The station elaborated on that position later Wednesday. Its official response to Aguilar's complaint is, "Fox4 looks forward to defending our decision in the appropriate forum." A brief news release from Aguilar's attorney also alleges that his client was fired "in a calculated move," and that she "did nothing wrong in October 2007 when KDFW (Channel 4) management suspended her over an alleged controversial interview." The release also notes that the suspension came two weeks after Aguilar was named Broadcast Journalist of the Year by the National Association of Hispanic Journalists. Reached Wednesday night, as storm clouds gathered over North Texas, Kardell said there's "no hard and fast timetable" for EEOC deliberations and decision-making. "By and large it runs from a couple of months to six months," he said. The EEOC sometimes will bring both parties together in an effort to reach an agreement. Otherwise its rulings can open the door to a lawsuit, Kardell said. Aguilar was a reporter for 14 years with Fox4, and did more than 6,000 interviews in that capacity, her attorney says. The 49-year-old news veteran was suspended with pay on Oct. 16th of last year following her interview outside a sporting goods store with an elderly West Dallas salvage business owner who had shot and killed two alleged burglars within three weeks time. The interview and suspension received heavy national coverage, with some accusing Aguilar of "ambushing" a feeble old man and of being an anti-gun advocate. Others said she had been aggressive, but not unduly so, in getting a story that rival D-FW television stations also wanted for their newscasts. Aguilar said she received the news of her termination in an envelope slid under her front door mat on March 5th. It informed her that Fox4 was exercising an option to drop her at the halfway point of a two-year contract with the station that began on March 6, 2007. 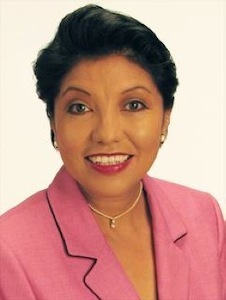 In a March 5th interview with unclebarky.com, Aguilar said the suspension and resultant termination had tarnished her journalistic career. "It's like in one swoop it ruined my reputation. It ruined my name," she said. Aguilar re-emphasized those concerns early Wednesday evening in a telephone interview. "That's what I'm fighting for, a reputation that I worked hard for. A good reputation," she said. "I want my reputation back because how am I going to find another job? Nowadays when you apply for a job, no matter where it is, the first thing they're going to do is google your name." All 10 entries on the first of many Aguilar google pages are links to stories and commentary on her Fox4 suspension. Now widely perceived as a lame duck, Katie Couric and her CBS Evening News recorded their lowest viewership ever -- 5.39 million -- last week. So who should be the inevitable replacement? And let's be realistic. After recent corporate-mandated layoffs at its owned-and-operated stations (including CBS11 in D-FW), the network isn't about to break the bank in naming a replacement. Couric reportedly is making $15 million a year. Divide that salary by at least three -- or maybe as much as five -- and we've got a workable number. Unclebarky.com already has singled out former WFAA8 and NBC5 reporter Scott Pelley as a worthy and workable replacement. At age 50, he's been around the block at CBS News, reporting from abroad, from the White House and from his current perch at 60 Minutes. Other names have been floated, though, and we're adding four others to this mix as conversation-starters. Anderson Cooper, the youngest at age 40, has been CNN's fair-haired journalist for several years now. But does he truly have star quality? Or would CNN colleague John King, 43, this field's biggest dark horse, be a sturdier, better choice? Harry Smith, 56, has been toiling on CBS' ratings-starved early morning show since 2002. He also had an earlier stint from 1987-'96. Likeable but hardly dynamic, he'd at least be a comfortable and probably reassuring presence in the Evening News "Chair." Chris Wallace, 60, and current host of Fox News Sunday, has also had tours with NBC and ABC, which he left to join Fox in 2003. But he's never worked at the same network as his legendary father, Mike. Would now be the right time? And would he be a good fit? Young man, vs. old man: Which is why the Mavs will lose. Damn, that was painful. A 12-point Dallas Mavericks lead at halftime evaporates into a 12-point loss at end-game Saturday night. Experience? Don't be silly. The Dallas Mavericks unfortunately have turned into a senior bowling league, with no legs in the second half. Jason Kidd, Jason Terry, Jerry Stackhouse, Erick Dampier, Devean George, Eddie Jones, Tyronn Lue, Juwan Howard -- all are over 30. And Dirk's pushin' it. He'll hit the three-decade mark on June 19th. Kidd may want to "impose his will" at crunch time. But he's like Muhammad Ali in his last fight against Trevor Berbick. He can see the openings, but the flesh ain't willing anymore. 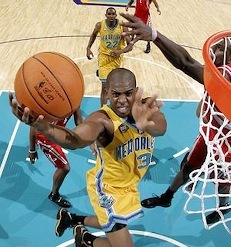 Meanwhile, the new kid on the block, Chris Paul, torches Kidd and the Mavs in the second half. Sad. By the way, TXA21 truth-tellers Gina Miller and former Mav Derek Harper continue to do a great job on the post-game show. Unlike the game announcers, they don't drink the Kool-Aid. And one more thing. How many of you watched the meltdown on ESPN instead of TXA21 for the simple reason that the all-sports cable network had it in HD and the locals did not? Makes a helluva difference in this view. End of mini-rant. Arrrgh! Veteran Fox4 sports anchor Mike Doocy uses his station's Web site to vent about what could be the imperiled future of his 9 p.m. newscast sports segment. Get his take -- and ours. As reported Wednesday night on unclebarky.com (scroll down), KXAS-TV (Channel 5) president and general manger Tom O'Brien has been named to run NBC's owned-and-operated WNBC-TV, the network's New York flagship station. The promotion was announced Thursday by John Wallace, president of NBC Local Media. O'Brien, who has been in charge of Dallas-Fort Worth's NBC5 since June 2001, "is a natural choice to lead our efforts in New York," Wallace said in a statement. "His track record of success at KXAS and his ability to adapt to the changing business climate will be instrumental in continuing WNBC's mission to be New York's leading local content provider across all media platforms." O'Brien replaces Frank Comerford, who's been "promoted" to president of Platform Development and Commercial Operations after almost six years as WNBC's head man. NBC5 had a five-year ratings winning streak with its 10 p.m. newscasts during O'Brien's tenure. But the station was overtaken last year by WFAA8, which now is dominating the late night Nielsens in both total homes and among 25-to-54-year-olds, the main advertiser target audience for news programming. In the February "sweeps" ratings, NBC5's local newscasts also lagged far behind at 6 a.m. and at 5 and 6 p.m. Part of the problem is a continued poor performance in prime-time by the NBC network. But WFAA8 beat both the Peacock and CBS11 to the punch by being the first newscast to go to high-definition in February of last year. The ABC station also simultaneously opened its glimmering new Victory Park studios, creating a sense of excitement and momentum that rival stations haven't yet been able to match. O'Brien, whose replacement at NBC5 hasn't been announced yet, could not immediately be reached for comment Thursday morning. His secretary at NBC5 said he was "out of the office." But she agreeably left him a cell phone message that the understandably busy O'Brien hasn't yet returned. In a memo to NBC5 staffers Thursday, O'Brien said he's leaving "with mixed emotions" and had hoped to be at the station "so that you could hear the news from me -- in person -- and not from an email, an industry blog or a press release. But circumstances dictated that I needed to be in New York." O'Brien said that a search for his replacement is underway and "interim plans will be announced as soon as possible. I will be traveling back and forth between Texas and New York over the next few weeks as transition plans are finalized." Taking the WNBC position was a "very difficult decision," O'Brien said. "But the opportunity to run the NBC flagship station in the market that I grew up in, combined with the proximity of both (wife) Pam's family and mine, made this the right opportunity both professionally and personally." New York and NBC already have one big O'Brien in late night's Conan. Now the network's flagship owned-and-operated station, Manhattan's WNBC-TV, apparently will be getting a second in Tom O'Brien, currently president and general manager of Dallas-Fort Worth's KXAS-TV (Channel 5). Several sources at NBC5 and an earlier item Wednesday on the Web site FTVLive say that O'Brien will be named to replace WNBC president and general manager Frank Comerford, who has run the station since July 2002. But no official announcement has been made yet. O'Brien, NBC5's president and GM since June 2001, could not be reached for comment late Wednesday night. Earlier that day he announced a key new hire at NBC5 -- The Weather Channel's Jennifer Lopez. Starting on June 16th, she'll be the station's new early morning meteorologist, replacing the previously dropped Rebecca Miller. 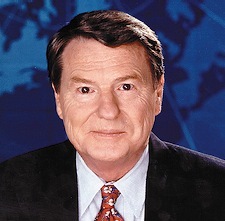 O'Brien came to NBC5 from WVIT-TV in Hartford, Connecticut, which he ran from 1997 to 2001. He's a graduate of Syracuse University with a dual B.S. degree in marketing and telecommunications management. This one (left), not that one (right) coming soon to NBC5. NBC5 has hired Jennifer Lopez -- no, not that Jennifer Lopez -- to succeed Rebecca Miller as the station's early morning meteorologist. 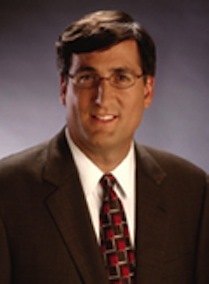 Lopez, scheduled to start at NBC5 on June 16th, has been with The Weather Channel since May 2000. She has a degree in meteorology from Florida State University. "We did a national search, and she was the most qualified," NBC5 president and general manager Tom O'Brien said in a telephone interview Wednesday. "It really is a great fit all around." Veteran NBC5 meteorologist David Finfrock had a "key role" in deciding on Lopez, O'Brien said. "We're thrilled with the new team, and couldn't be happier." In a later NBC5 news release, Lopez says, "My family and I are really looking forward to experiencing everything the Dallas-Fort Worth area has to offer. As a meteoroIogist, I know North Texas is a great place to observe different types of weather, from heat to wind to thunderstorms to snow and ice. You get it all." Her husband is a pilot for Southwest Airlines who's currently on military leave and in charge of relocating a Navy DC-9 squadron from Atlanta to Fort Worth, where NBC5 is based. They have two daughters. Lopez, a native of St. Augustine, FL, began her weathercasting career at WPTV-TV in West Palm Beach, FL. NBC's dismissal of Miller last month prompted hundreds of protesting comments and emails to unclebarky.com. She had been with the station since 1991. Gina Carano, daughter of former Dallas Cowboys backup QB Glenn Carano, has segued from NBC's American Gladiators to the premiere of the CBS Elitexc Saturday Night Fights. On Gladiators she was Gina "Crush" Carano. Now the 25-year-old bumps 'n' bruises vet is dubbed Gina "Conviction" Carano. She'll battle Kaitlin Young in a 140-pound mixed martial arts matchup on Saturday, May 31st. There are five bouts in all, headlined by Kimbo Slice vs. James "Colossus" Thompson. CBS, bidding for a younger male audience, bills Carano as an "undefeated Muay Thai specialist." She probably enjoys a good Mai Tai, too. Her Dad played from 1977-83 for the Cowboys, occasionally subbing for Danny White. He threw three TD passes during his tenure. 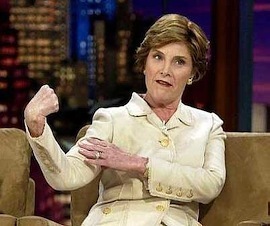 Laura Bush, no stranger to Jay Leno's Tonight Show couch, will co-host Today on April 22nd with "America's First Family," as NBC so modestly puts it. The First Lady, joined in part by her daughter, Jenna, is scheduled to be on hand during the entire 9 a.m. hour, says the Peacock. She'll supposedly "learn the ins and outs of hosting a morning" show while participating "in several segments and interviews." Mrs. Bush also will take incumbent co-host Ann Curry on a tour of the family ranch in Crawford and plug the children's book, Read All About It!, she co-wrote with Jenna. NBC had another odd coupling earlier this season when Nightly News anchor Brian Williams hosted the last new edition of Saturday Night Live before the writers' strike knocked the show off the air for several months. Thanks to all who attended Saturday's fourth episode of The Uncle Barky Show. We had our biggest crowd yet for filmmakers Mark Birnbaum and Manny Mendoza, whose documentary Stop the Presses: The American Newspaper In Peril premiered earlier this month at the Dallas AFI film festival. Another $500 was contributed by our host, Stratos Greek Taverna, to the guests' designated charity, Legal Aid of Northwest Texas. That makes a total of $2,500 to date. Interesting tidbit during our interview: Walter Cronkite was among the more than 100 interviewees for Stop the Presses, but didn't make the 80-minute film's final cut. The CBS News legend, now 91, was having "a bad day" during filming, Birnbaum explained. But he'll be a "DVD Extra," Mendoza said. Onward. Our final show of the spring, on May 17th, 4 p.m. at Stratos, will find your host trying to get a word in opposite WFAA8 sports anchor Dale Hansen and weatherman Pete Delkus, also known for their back-and-forth banter on D-FW's No. 1 rated early evening and 10 p.m. newscasts. So mark your calendars and be sure to arrive early for this sure-to-be-packed free event. P.S. Unclebarky.com also is welcoming a new advertiser, Just DVD It! Check it out. Don't forget to support your local unclebarky.com by attending this Saturday's (April 12) fourth episode of The Uncle Barky Show at Stratos Greek Taverna, 2907 W. Northwest Hwy. in Dallas. After all, who loves you more --- and gives you more for nothing -- than your friendly neighborhood purveyor of local and national TV scoops, news and reviews? Cripes, this sounds like a PBS pledge drive. Our guests, as noted in the can't-miss banner ad above, are Mark Birnbaum and Manny Mendoza, makers of the just-completed and locally produced Stop the Presses: The American Newspaper in Peril. Following last week's triumphant screening at the Dallas AFI film festival, they'll present exclusive outtakes from the 80-minute film, with an emphasis on local journalists and observers. We'll then quiz them, with plenty of time left for your questions. Pegasusnews.com again will film the program for their broadband presentation. Show time, as usual, is 4 p.m., with free admission for one and all. As always, Stratos will make a very generous $500 donation to the guests' designated charity. Also, we'll announce our next guests at what will be a rea-l-l-l-y big May 17th show. So come on out, enjoy the food and drink specials, participate in the Q&A and help keep unclebarky.com in fighting trim. Hope to see you there!!! Fox4 weathercaster and entertainment reporter Maria Sotolongo has decided to leave the station, several sources confirmed Thursday. Her last day will be Friday, where she's scheduled to sit in for regular forecaster Evan Andrews on the early morning Good Day program. Fox4 news director Maria Barrs did not respond to email inquiries sent earlier Thursday, but Sotolongo replied early Friday afternoon after her final shift at the station. "I'm leaving to be with my baby girl, Ysabel," she said in an email. "I've waited a long time to be a mom and I don't want to miss a minute of her growth. I leave Fox4 with nothing but gratitude and great memories. It truly is one of the best places I've worked." Formerly with the Spanish language network Telemundo, Sotolongo joined Fox4 in fall 2003. She had her first child on Dec. 11th of last year. 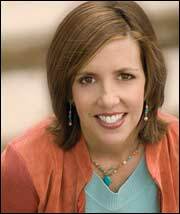 On Friday's Good Day, co-anchor Megan Henderson said she was "bummed" about it being Sotolongo's last day. Sotolongo said she's looking forward to a change. "I'm going to be home with my baby, and I couldn't ask for anything more," she told Henderson and co-anchor Tim Ryan. As previously reported on unclebarky.com, Fox4 also is losing veteran reporter Jeff Crilley at the end of the May sweeps. He's leaving to start up a public relations firm. The station recently terminated another longtime reporter, Rebecca Aguilar, after a lengthy and highly publicized suspension. 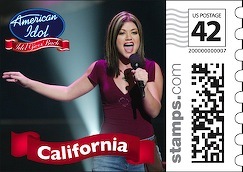 Limited edition postage stamps picturing first-year American Idol champ Kelly Clarkson of Burleson are being sold in connection with Fox's Idol Gives Back charity event. You can order the Texas commemorative stamp here, with a sheet of 20 going for $19.99. Only 2,000 sheets will be printed. By the way, viewers with high-definition TV sets might have been a bit put off by Fox4's repeated picture shrinkage Wednesday night. But other stations better weathered the storms. The Wall Street Journal reports that CBS Evening News anchor Katie Couric "is likely" to leave that post well before her contract expires in 2011 and possibly soon after the next presidential inauguration in January. But CBS and Couric have both issued statements (included in the Journal's story) that say they're happy together without emphatically denying any planned breakup. The Journal piece also says that Couric might be in line to replace Larry King on CNN after his contract expires next year. As has been exhaustively reported, Couric's $15 million a year salary has not paid off in higher ratings for the Evening News, which badly trails both the NBC Nightly News and ABC's World News. Frankly, the perfect replacement for Couric would be former WFAA8 reporter Scott Pelley, who was rumored to be on the short list of Dan Rather's possible successors. Bob Schieffer instead got the job and ably led the Evening News to a mini ratings resurgence while also re-steadying the ship. But he didn't want to anchor long-term, and CBS chairman Leslie Moonves already had settled on Couric as a star player who could youthify the Evening News while also significantly altering its presentation. Both assumptions have been proven almost disastrously wrong. Pelley, 50, is well-seasoned at this point, and has both the on-air presence and reporting skills to succeed where Couric's failed. Besides that, his hair is notably grayer than either Brian Williams' or Charles Gibson's. The latest wave of corporate-mandated staff reductions at CBS' owned-and-operated stations (including CBS11 in D-FW) make it highly unlikely the network would seek to reel in another high-priced big fish from outside the company. This makes Pelley a cost-efficient and sound choice in times when CBS News also reportedly is considering an "outsourcing" partnership with CNN. Megan Henderson, eye-opening co-anchor of Fox4's No. 1-rated Good Day, is auditioning this weekend on Fox & Friends Weekend. Fox News Channel supposedly wants to revamp the program, and Henderson is being eyed as one of the revampees. She could not immediately be reached for comment Friday morning. But sources at Fox4 and a representative of FNC confirmed that Henderson will co-anchor Fox & Friends on both Saturday and Sunday (April 5-6 from 6 to 9 a.m.). News of the audition surfaced earlier this week on the insidecablenews Web site after first being reported by FTVLive. Henderson's latest contract with Fox4 expires in February. She missed Friday's Good Day while enroute to New York, where FNC had hotel accommodations awaiting. 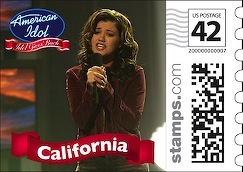 Natalie Solis filled in on Friday. A cold reality to consider here is that Fox4's corporate master and owner is Rupert Murdoch's News Corporation, whose properties also include Fox News Channel. So if Henderson is offered and wants the Fox & Friends position, there's seemingly little that Fox4 management can do about it. Not that they'd like it or wouldn't put up a fight. Henderson joined incumbent Tim Ryan on Good Day in August 2003. NBC5's sports department at least temporarily could shrink to Newy Scruggs alone after Derek Castillo's scheduled departure at the end of June. "I just couldn't do another contract working the weekends," Castillo said in a telephone interview Thursday. "I owe it to my wife and (eight-year-old) son now to be there more for them. Having a child really changes things." 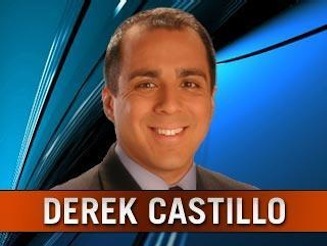 Castillo joined NBC5 in July 2001 from WCAU-TV in Philadelphia. He became best known in D-FW for his live "Big Game Friday Night" reports from various area high school football fields. In 2005, he won a Lone Star Emmy award as the market's top sports anchor despite working the less prominent weekend shift. Castillo said he's leaving NBC5 on good terms and hopes to remain in broadcasting because "my heart's still in this business." 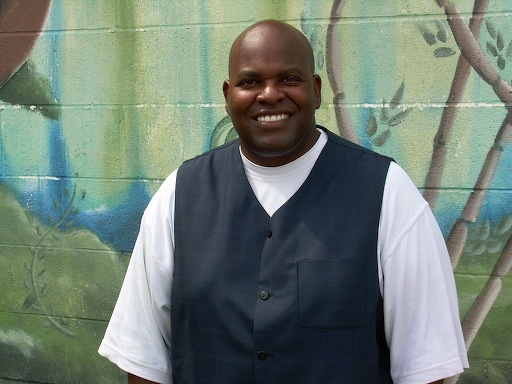 He grew up in Austin and graduated from the University of Texas in 1992 with a bachelor's degree in journalism. "Ideally we'd like to get back there," he said. "It's pretty ballsy, because I don't have anything else going on right now." Cost-cutting and downsizing are ever-present facts of life in both broadcast and print journalism. Castillo said he has no idea whether NBC5 will replace him with another full-time sports staffer, a freelancer or no one at all. "I would hope they would hire someone," he said. "But who really knows nowadays?" Castillo joined NBC5 after John Rhadigan moved to Fox Sports Southwest, where he remains a prominent anchor. Note to FSS: Castillo also would fit you like a glove. Someday their prints would come. More than 18 months in the making, Stop the Presses: The American Newspaper In Peril at last hit its first big deadline Wednesday with a world premiere at the ongoing AFI Dallas Film Festival. Its proud parents, Mark Birnbaum, Manny Mendoza and Andy Streitfeld, met the press and friends at a pre-party before their 80-minute documentary played to a sold-out crowd across the street at the Magnolia. Initially envisioned as a telescoped look at the Sept. 2006 buyouts that sent 110 Dallas Morning News staffers packing, Stop the Presses has emerged as an effective cautionary tale of national scope. Its first words are from former Washington Post editor Ben Bradlee and its last from fake newspaperman Humphrey Bogart in the 1952 film Deadline USA. "That's the press, baby, the press," he tells an inquiring mob boss over the phone as newspapers roll into print with a hard-hitting investigation. "There's nothing you can do about it. Nothing." 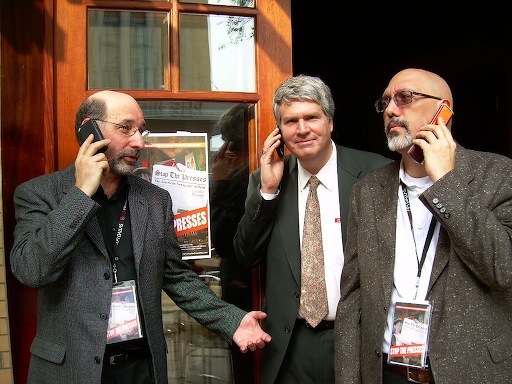 Birnbaum, a veteran filmmaker, and Mendoza, formerly an entertainment reporter/critic for the DMN, did more than 100 interviews for their doc. Paying the freight was Streitfeld's Dallas-based AMS Productions, which invested between $75,000 and $100,000 in the film besides post-production costs, he said. Besides Bradlee, prominent interview subjects include humorist Dave Barry, actor Ed Asner of Lou Grant fame, media writer Ken Auletta and former Dallas mayor Laura Miller, who says that rebels such as herself were seldom tolerated for long at the DMN, where she used to be a reporter. No executives from the local daily or from its parent corporation, Belo, agreed to be interviewed for the film. But its evolvement onto a mostly national stage pretty much made them extraneous anyway. Keep your eye on the cake -- or not. Yours truly made the final cut as an opinionated old cuss who was interviewed just a few days after unclebarky.com revved up on Sept. 17, 2006. Let's just say that emotions were still running high. Former DMN colleague and still good friend Michael Precker also holds forth from his hard-won post at The Lodge gentleman's club. He's more conciliatory and good-humored about life after newspapering. Stop the Presses got a deservedly strong reception from the audience and still is looking for a spot on network television. The time has passed for possible inclusion in the new P.O.V. season on PBS. But Mendoza said during a post-screening Q&A that the film is still "under consideration" for public television's Independent Lens series. A DVD also is coming. 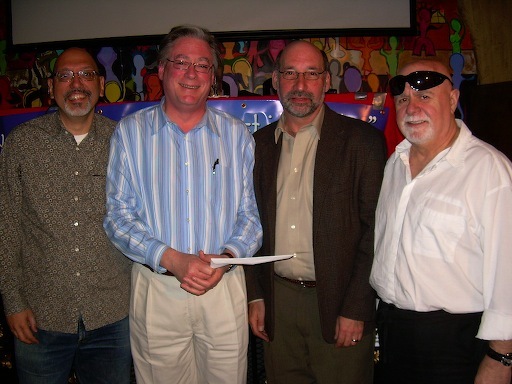 Mendoza and Birnbaum will be the guests on the next Uncle Barky Show (4 p.m. on April 12th at Stratos restaurant). You shouldn't miss it, and you can't miss the accompanying banner ads on each unclebarky.com page. Birnbaum is assembling a sizable collection of never-before-seen Stop the Presses outtakes, many of them featuring DMN staffers. An interview will follow, including questions from the audience. As always, a $500 donation will be made to the guests' designated charity. Great Greek food and drink specials also are part of the program. "Live from HD Studio 1"